Bill Mull Agencies continues to act on their mission to foster positive change within the community by selecting a new group to benefit from the agency’s ongoing community involvement program serving families of greater Wichita. 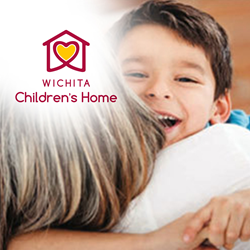 The newest phase of the program features a fundraiser in support of the Wichita Children’s Home, a nonprofit organization which offers the only emergency, temporary and residential care in the area for newborns to age 22, essentially providing a safety net of comprehensive services for kids in need. We are very proud to be supporting such a great organization and allow these children and youth to live the lives they deserve, full of love and support. Bill Mull Agencies debuts the latest charity campaign in a widely recognized community involvement program serving the families of greater Wichita, KS. Turning their attention to children in need of homes, hope and healing, the agency has elected to support the Wichita Children’s Home. Founded in 1888 as an orphanage, today the Home offers the only emergency, temporary and residential care for children from birth to age 22 in the entire area. Compassionate members of the community who wish to support safer lives and brighter futures for kids in need may now donate at https://wch.org/donate. The statistics are staggering – around 2,000 kids are admitted to the Wichita Children’s Home every single year. After seeing to immediate, crisis-centered needs, children are offered a safety net of comprehensive and outcome-oriented services, including medical care, family mediation, parent education, case management, victim and peer counseling and much, much more. The Home’s staff and volunteers are dedicated to creating a stronger community through stronger individuals and families. Realizing that child abuse, family dysfunction and substance abuse problems are difficult to entirely eliminate, they remain committed to raising community awareness and advocating on children’s behalf. Creating healthier futures for the area’s children is a 24 hour a day, 7 days a week mission for the kind folks at the Wichita Children’s Home. Readers may bring help and hope to Wichita’s at-risk youth by having a donation to this worthy cause made in their name simply by submitting recommendations of family and friends at http://billmullagencies.com/causes/bringing-hope-children-holiday-season/ with no purchase necessary. Meanwhile, the caring team at Bill Mull Agencies is mobilizing a vigorous email outreach and social media initiative to help spread the word. The campaign is also featured in this month’s issue of their fun community magazine, Our Hometown, which is delivered to thousands of households in and around Wichita every month. To enjoy current and archived issues, please visit http://billmullagencies.com/magazines/. Bill Mull Agencies' ongoing community enrichment program invites community members to submit information on groups, families or individuals to be considered for future initiatives at http://billmullagencies.com/submit-causes/. To join their ‘Agents of Change’ movement and learn about other opportunities to support the community, please visit http://billmullagencies.com/community/. Bill Mull Agencies is full-service provider whose mission is simple: to provide the finest insurance and financial services in the industry while delivering consistently superior service. Mull and his team of caring professionals believe passionately in working to better their community, as well as in protecting all the things which are most important to clients (their families, homes, cars and more). They also help to prepare long-term strategies to enable financial security and success. Their dedicated experts may be reached by calling 316-773-9864. More information on the agency, as well as their two convenient Wichita locations, may be found at http://billmullagencies.com/.